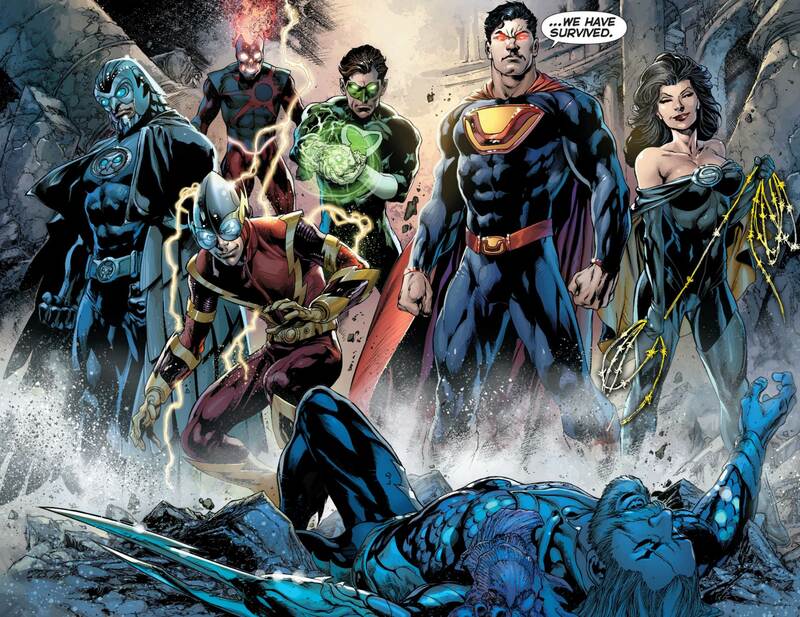 Forever Evil by Geoff Johns. Following on the heels of Trinity War comes Forever Evil! The Justice League is DEAD! The world’s most powerful heroes vanishing as the Crime Syndicate arrives from Earth-3; this evil version of the Justice League taking over the world. Villains shall inherit the earth . . . or might they save it from its would-be conquerors? If Lex Luthor has any say in the matter it will be the latter . . . strange as that may sound. When I read this book, I had little expectations of anything remotely enjoyable happening. I mean, why would I? Trinity War had disappointed, and this was Geoff Johns’ finishing up that whole plot line. It just looked like a train wreck waiting to happen. But, I actually found myself enjoying this one. First, the art was really good. Absolutely no letdown in this area at all, as David Finch and Richard Friend delivered some amazing superhero action from first to last page. Every character distinctly rendered; every fight superbly choreographed. Second, Johns did some amazing things with Luthor. Nothing that hasn’t been done before, but he made it work in the confines of what could have been another DC brawl-fest. But here — even though there were fights galore — it never overshadowed the characterization that Luthor underwent. 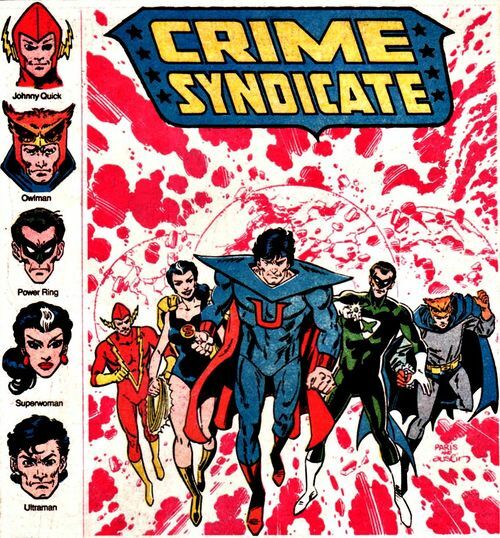 Third, I love the Crime Syndicate. When I was a kid growing up long ago, I always sought out any appearance by these evil versions of my favorite DC heroes, not just for variety sake but because they were cool. And in Forever Evil, Johns has made them even more so. Really great to see them in action again. Even with all that being said, I have to admit this story had some huge freaking plot holes. Ones that you couldn’t overlook even though you desperately wanted to. They were really bad actually. Things Geoff Johns of all people shouldn’t have allowed to remain in his story. Was it still a fun read though? Hell, yes. Mindless fun, maybe, but it was still much better than Trinity War, in my opinion. So pick it up, sit back and enjoy the show. 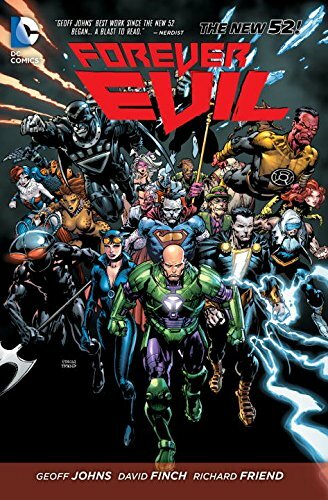 This entry was posted in 4 Stars, DC, Graphic Novels, Justice League and tagged Crime Syndicate, DC Comics, Forever Evil, Geoff Johns, Justice League, Lex Luthor, The New 52. Bookmark the permalink.